It is Thanksgiving week! Hurray! To be perfectly frank, I am already over Thanksgiving and ready for full on Christmas, lol. Thanksgiving is merely a prequel to the greatest holiday of the year. And as a prequel to this post, I am of course so thankful for my family and friends and the amazing life I get to live every day. That being said, I also delight in questionable things, and wish to pay homage to them right now, lol. Sisterwives is such a fun show to watching because these people are fascinating, and totally ridiculous all at the same time. One minute I want to snark on them, then the next I am rooting for them to overcome some weird family of 25 obstacle that they are facing. And for the life of me, I cannot understand how Kody Brown convinced FOUR different people to marry him, especially Jenel because she seems like the only smart one out of the bunch. He is lame beyond words. You can bet I will be all over twitter tonight. #sisterwives !!!! I am so thankful for TLC and the hours of enjoyment they bring into my life. 1.2 I am glad that Revenge isn't on tonight, because I don't know how I would choose which to watch first, because I like to follow the Twitter feed for that show too because it is way crazy with the plot twists. a. Employee Discount y'all. 10% on all the things! And if you use a Target credit card, it is an additional 5%. 15% off already low low prices?! This is fantastic! c. I get alone time!!! I love Aaron dearly, but he is at home every second of the day that I am home. My schedule is pretty much I leave at 7am and if I have school that night, I get home at 9pm, if not, I am home about 5:30pm. Aaron's dream life of a grad student he's out the door around 9am and back by like 3pm at the very latest. He works from home a lot (using the term 'works' loosely...) ((jk, dear)) so my introverted self never ever gets to be home all by myself except on the rare occasion that he will go run an errand or two on Saturday. 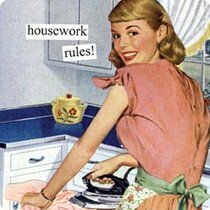 I know that may sound weird, and I am glad he isn't out with his buddies golfing 24/7 or whatever other people's husbands might do, but I just want the place to myself sometimes. I figure this is probably just prep for motherhood where I wont get to be alone for like 18 years, lol. 3. My wardrobe that 97% of doesn't require ironing. I woke up this morning in a fine mood. I am having a fun weekend, I didn't wake up to an alarm, I am still alive. Life was a.ok. Then when I was getting ready to go to church, I only had one option of clean + weather appropriate shirt and it was wrinkled! Oh the horror! I don't know what it is about ironing but I hate it with fiery passion of 1000 suns. It is such a simple mundane thing, it shouldn't be so hard! After half a second of ironing my shirt, my pleasant mood turned sour and I was annoyed with everything that crossed my path. So that is what I am thankful for today, lol. What funny things are you thankful for? I was also excited to see Sister Wives back on again last night. I'm with you, Kodi is beyond strange. 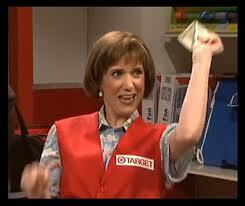 And hooray for your new discount at Target! Love that place! Excited about your hubby's new job for the discount! HOLLER!